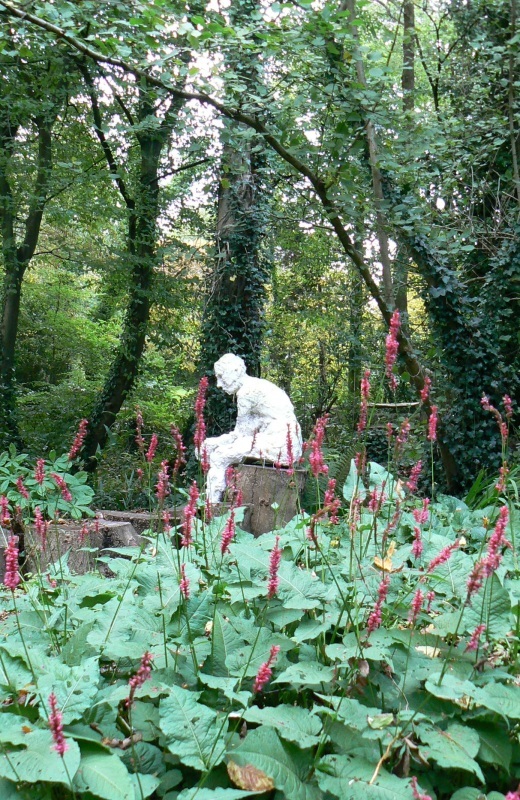 The Crowhurst Art Garden is a project being created on a small piece of land adjacent to my house in the village of Crowhurst in East Sussex. The garden was started in 2017 with the generous donations of Mantis by Martin Adams and Julie by Esther Neslen . Three cast iron radiators removed from the house during a new boiler installation were then given an entirely new life as Sheepish. 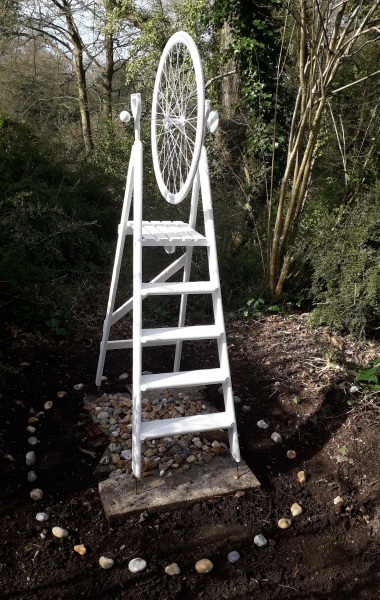 As of March 2019 we have a delightful new addition to the garden. 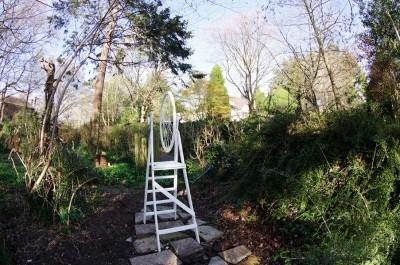 Huge thanks to Jolyon Dupuy for Duchamp's Step- Ladder and yes... the wheel does go round. This piece also has its own original music video put together by Jolyon and Peter Schofield. Thanks to Tim Vine for photos. 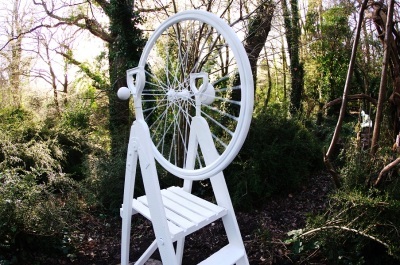 Also in relation to Crowhurst, I have been asked to develop a village community artwork. It is at an early stage but more info about the project with the working title of 'CrowHenge' can be seen by clicking the link below.